This Matched pair of Performance Hybrid MINI whips was custom made for Drew. 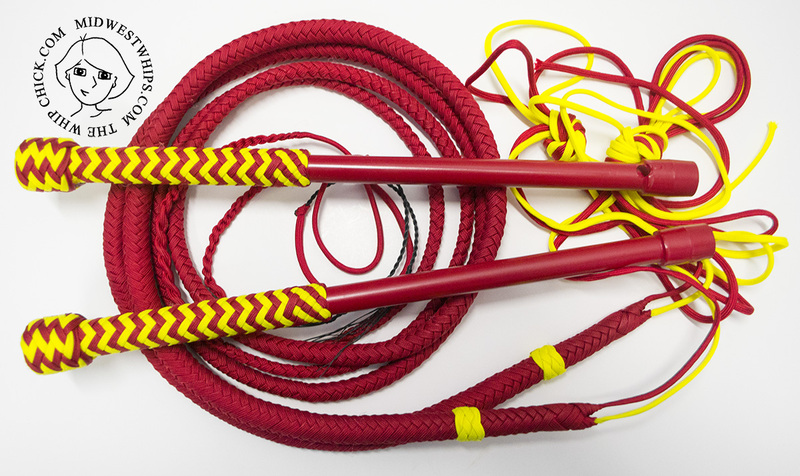 The PH Mini Whips are a special design based on my extremely popular standard length Performance Hybrid Whips, but shortened as much as possible for INDOOR whip performers who want to do fancy Australian two-handed routines. Hooray! If you want to learn more about the best short nylon whips for two-handed indoor performing, visit the Performance Hybrid MINI Whip information page on The Whip Chick website.